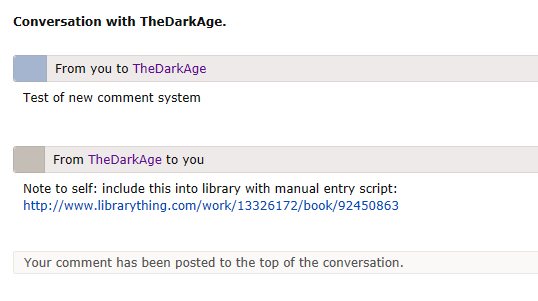 Today we're unveiling a major upgrade in how LibraryThing handles comments. This is a brief description. A blog post with pictures will follow soon. * Real conversation was nigh-impossible. Messages "lived" in two separate places, with Person A writing on Person B's profile, and person B replying on person A's profile. Context was non-existent. * Everything was a comment—real comments, notes to people looking at your profile, system notifications, Early Reviewer notiifications, etc. * Administration was a pain. There was no pagination, making some profiles unwieldy and slow. Members "archived" messages to get them off their profiles. * Comments now have a dedicated page, available from your profile and on every page (see the little number in the upper-right corner next to your username). * You can now see "conversations" with other members--a view of all the comments you've sent back and forth. * The left of the comments page shows recent conversations. Clicking "View all" shows a rather complete overview of all the conversations you've had on LibraryThing, sorted by recentness or "most" (which conversations have the most comments). You can also see conversations by the first letter of a member's name. * Your comments are split into "Your Wall," system notifications and social notifications. We're going to be doing more with notifications, now that we can separate them from your "real" messages. * Early Reviewers notificaitons are separated out too, if you're an Early Reviwer. * To round out the categories, there are also links to "Archived" and "All." * Everything is paginated, so the pages are small and you aren't scrolling forever. * Comments now allow Touchstones to works and authors. * It's a lot faster. * "Archived" was a funny concept before. Basically it was used to reduce wall-bloat. The new "archived" means "remove from your wall." It doens't affect other contexts, like conversations. "Archive" is no longer an option for system and social notifications, since those comments don't "live" on your wall anymore. If you were using "archived" as a "soft delete," you may not like the way it works now. At the bottom of your "archived" view, there is an option to "Delete all my archived comments." Oh, I wish I'd seen this before I left a comment for someone - it looks like it didn't actually go through. But what a nice feature! the layout is great and I love the "history' so you follow up. Yeah, notification is currently out - but getting there! Well done the A team. Are you working on localization issues as well? Really like the conversation view, especially when I'm responding to a message someone left and want to refer to the post while composing my own. Interesting that there seem to be 2 pages which mirror one another: are these actually 2 separate pages, or 2 views? That is, on my profile page the new comments appear at the bottom, as they did previously. Clicking on the "0" icon at top right takes me to the dedicated message page, which looks similar but for the additional features of sorting / filtering. Here, none of the profile information appears. The bottom of your profile only has YOUR wall. It won't show conversations that happen on other people's comment wall, notifications, etc. Depending on what comments you have and get, they may or may not be substantially the same. Every time I go to someone's comments page on se.librarything.com, I get a new, unique "Post a comment on XXXXXX's wall" text in English in translation yellow. I like the big-scale new design aspects. (Thanks to kiparsky for fixing the annoying bug that I found.) The only real complaint I have is that private comments aren't as clearly marked anymore, so I can't tell at a glance what's private. And on their profile pages I get a translated "Skriv på XXXXXXXs logg" phrase before the comments box, which admittedly is translated but still in translation yellow, so it has to be confirmed in the translation interface. Well, they're marked more in some ways—they have a "lock" icon, and they're pink. But I think you mean that the pink—or whatever!—is lighter. Right? On the Conversation page, the texts "Conversation with XXXXX" and "YYYYYY's wall" are untranslateable. I'm delighted with everything you've said, except for * Comments now allow Touchstones to works and authors. Aren't we ever going to get a way to escape touchstones and just type [ ] without needing HTML codes memorized? Please?! Looking into the translation issues. If you find any new texts that I've missed, please list them here. I saw the lock, but it's easy to miss at a glance. The pink (or whatever) is so light that I honestly didn't notice it until you mentioned it. What do others think. We can't design for every monitor in every situation. I'm assuming lorax is using a Kindle in a tanning salon, right? How about others—way too light? Okay? I hate calling it out TOO much. Also I agree with >10 lorax: that the pink background is practically invisible now. Can we darken it back up a little? No small devices for me, I'm on my laptop, and just checked the desktop also, it's barely visible. It works fine and looks good. Thank you for all the hard work. I saw the lock icon, but only when actively looking for it on comments I knew were private. I never noticed there was shading along with it. I find it way too light, using a MacBook Pro. It's changing. Give Conceptdawg a few moments; art can't be rushed. Next topic? Ha ha. Jon feels all kinds of bad about that :) Fix soon. Also, it might be nice if there were a way to go to a specific page/date range of comments, instead of just clicking "next". I do like the fact that we can easily find conversations with a specific person. But then there's the L icon indicating it's an Administration message. So is it from USERNAME or LT Admin? Specific pages can't happen. The speed of it—and once you're warmed up, it's a lot faster—depends upon it not knowing how many pages you have, except as it goes back. (That is, it doesn't go spelunking into comments from 2008, counting them up and etc. It only does that when you've wandered back that far.) That said, I'm open to other solutions, like the ability to search for comments, or I dunno. Also: I like that the L icon changes shading to discriminate between social messages sent to me, compared to those I sent to other users. Nice touch. I began to suggest something to sort by number of messages or search by name, and found you'd already implemented it under the "More ..." link. Wasn't obvious I'd have that option (I anticipated the list would simply grow longer down the left-hand menu bar), but that's also nicely done. I like it too! Happy to be able to see conversations. The private message background is now a bit darker to help you see those messages better when scanning through long lists. >16 timspalding: So why not make that the escape sequence? It's familiar to programmers, I think it's used in some chat/comment systems as well (the ones that don't have fancy markup) - it's no harder, for those unfamiliar with it elsewhere, than touchstones themselves ("this character has an extra function in LT..."), and much easier than the HTML. For that matter, it'd be easier to type a backslash (for those who want it for something else) - you'd just have to do it twice, rather than find the HTML code for that! What's the drawback? Does it interfere with Talk somehow? >37 conceptDawg: Thanks! It's still distinctly blue (rather than pink) to me, but it is visible without tilting my monitor away to darken the screen. It's now reasonably clear, while skimming, which are private comments and which aren't (it's easy to tell if I'm actually looking at each comment, because of the lock, but if I'm scrolling down fast the lock is less easy to identify quickly). Okay, I'm going to play. This is probably my most highly-anticipated new feature since I started here at LT year ago. I am over the moon. >37 conceptDawg: It's still really light. I can see it better on my desktop now, but on the laptop it's still practically invisible. Is there a reason for wanting it to be so barely-there now? It's in the red spectrum: f5f1f0. >37 conceptDawg: Thanks for the darkening! There's an official comment from Loranne on my wall that has no text anymore. I would have expected it to be an ER notification (on Sept. 5), but it's marked by an L rather than the ER bird. On my desktop I can see that it's a super faded pinkish color, but on my laptop it does have more of a grayish tone, so I can see where the "blue" comment is coming from. Thanks. We think we know about that. There's a gap in September. The comments system also touches comments on member pictures. But that part is not working very well at present, so don't go look. >39 jjmcgaffey: & >44 _Zoe_: :: I darkened them even more and darkened the border around each message header too. Hoping that it's dark enough for everybody now. THAT IS AS DARK AS THIS IS GOING TO GET! Also wanted to comment on the nice option to Undo a deleted message. I presume at some point, I'll no longer have the option (the mini-message will simply disappear and truly be deleted), but this is a nice way to avoid mistakes and then having to make a special request to recover it. Looks good to me! Thanks guys, this is pretty cool! Not to poke the bear, but will News Feed and Comments ever share a feed? >43 conceptDawg: Well....OK, technically it's got more red than anything else - but only just. Calibrating a laptop screen is hard...I tried, I don't think it changed much. Doesn't really matter, except if you talk about private message pink I'll have to remember that you see that color as pink. And while I was calibrating and writing this you did the darkening - which now seems surprisingly dark, and still bluish. I liked the previous one better (sorry - but neither Zoe or I ever asked for it to be darker), and as I said above the color really doesn't matter. Yeah, as soon as that's gone, it's gone. (1) I would like, when I'm looking at my "Wall." to see both sides of the conversation. If I've made a comment, and someone's responded, and then I reply, and so on, I want to see both parts. Always. Yes, I can click on a specific person and see this, but then the only thing I see is the comments made back and forth with one person. (2) I would also like to see comments in the threaded version (where I've clicked on a name) without seeing those comments I've archived. It's looking much nicer and more useful than it was when I arrived (nearly a year ago). Pics are now on newcomments. If you see bugs, please don't hold back! "Conversation with USER" is still in English. And "Post a reply to USER". As are "All comments|Your conversation with USER" on someone's profile page. This comment is just to test the data format. Talk says "Today, 10:25pm" and Comment Wall says "Sep 25, 10:25pm". I like the fact that I can get current LT date and time rather than "Today" and "Yesterday" but I wonder if it is a bug or a feature. GAHHH. I just noticed you updated the first post with all the information. It's really annoying when you do that and don't mention it in a new post, because people who have been following the thread from the beginning miss out. Well, if people hadn't written when I told them not to! >63 timspalding: No, that wouldn't have helped. I wouldn't revisit the thread until there was a new message, and at that time I would go directly to the new message. Going to do some dishes. Hold the presses. >61 timspalding:. Ergo Tim is People. Hey, that's a https link! Just a glitch or is talk going secure too? >59 anglemark: These should be fixed now. Thanks! How does one delete a message? I don't see that option. Also, I assume the lock icon means it's a private message? It would be nice to have them differentiated by color as used to be the case, as well. And why a "wall"? I don't get that. >71 lilithcat: If you hover over a message, a menu opens up at the bottom - Reply | See conversation on the left, and Delete | Archive on the right. Don't know how/if this works with touchscreen devices, though (hover is always a problem). Yes, the lock means private, and they are actually slightly darker than the open messages - only slightly, but it's there (discussion starting at Msg 10 and continuing all the way down about shade and color). I can see it - it's lightened up to the one-step-darker again, which works for me (and looks better than two-steps-darker - again, for me). I guess it's based on Facebook's "wall", which never did make sense to me. Though I suppose it's shorter than "bulletin board"...I don't know. Thanks. The colors look exactly the same to me, no difference whatsoever, a sort of grayish color. That's true both in Firefox and Safari. And I repeat my previous request elsewhere: can we please have the ability to delete multiple messages at the same time? It is a complete pain to do it one by one. I love everything about this! The conversation view is especially welcome. It seems churlish to take advantage of a feature announcement to immediately request an improvement to it, but I would love the ability to mark a comment as new. Whenever I see the yellow notification that I have a comment I cannot stop myself from clicking on it to read even if I am not in a position to be able to respond immediately. But once I've read it, the yellow reminder goes away and I forget that I have a reply that needs to be made when I come back later at home. You aren't by chance using the old design, are you? Don't know how/if this works with touchscreen devices, though (hover is always a problem). ConceptDawg, can you make it so that these are always visible on iOS, etc.? Is this mostly for old stuff? Do you get enough messages that you find it necessary as is? Do you want the same for archiving? Just go to click where they are. It's not a hover-and-wait. It's a—THERE IT IS. Not showing everything by default keeps the information front-and-center. Yeah. My request is for message star-ing, so you can set some messages aside. It's mostly for old stuff. So suggest a way, you or others. I don't want to clutter the UI. A search by date or other criteria, and then ability to check all / some / none of the returned subset for deletion. Ha! Thought I would try to sneak something in. Why not just check boxes, like we have for power edit? >78 timspalding: ConceptDawg, can you make it so that these are always visible on iOS, etc.? Please, please do this. I'm finding it very fiddly on the iPad to find just the right spot to make the buttons appear. Right. But we have these always there? No, that's fiddly. So you have a mode—poweredit—and then other buttons to do the stuff. Was already on it. That fix will be available in a bit. All looks very nice, so far. Thanks! The only thing I don't like so much is that it's getting a bit congested with links on the top right of the page. On a touchscreen device you pretty much have to zoom before clicking anywhere in that area unless you have high precision thumbs, and the comments link is a particularly small target to hit. I managed to end up unintentionally switching tabs in Safari the first couple of times I tried it. >89 thorold: Yeah, I think we probably need to take some time and rework that top section a bit for mobile devices now that it's grown. >15 kiparsky: When I click on "Your conversation with USER" I got a "Problem. No user2 specified", not translatable. >91 Louve_de_mer: I just noticed exactly the same thing. And on the page https://se.librarything.com/conversation/USER1/USER2 it still says "Conversation with USER2" in English. >15 kiparsky:, >94 anglemark: When I am on a conversation page (http://www.librarything.fr/comments) I see "Conversation with USER" not translatable. It's not totally obvious where a new comment in a conversation is. I had a new message today. So I went to my profile, and saw the wall. But not the new comment. 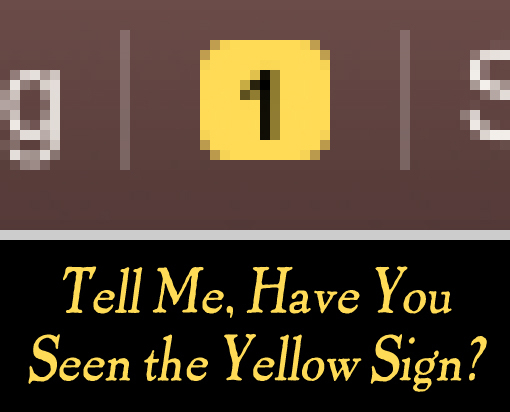 You can ONLY get to it by clicking the number. Which is odd. I might get used to it. but I don't like it particularly. Once there the conversation thing is fine. Which grey block is the first you see as being distinct from the middle white bit? Question! I just replied to a comment for the first time, by clicking the little 1, and clicking "reply" under the comment. It says it's "to" the person but it's now on my profile page. Erm what? I don't want my responses displayed on my profile! I'm not sure that's the right question. I can, if I squint, distinguish 254 from white. But for "comfortably telling them apart at a glance while scrolling down the page", which is the use-case here, I wouldn't want to go any lighter than 248 or 245. Comfortably 245: Win7 on Chrome w an old HP display. I don't understand the question. The first one that is distinct? The only one that is not distinct is #254, all the other ones are different shades of grey. What is meant by "the first one"? From which direction? Just a quick thumbs up for the separation of conversations and showing what comment from whom I am responding to. A big help. I used to bring up two screens, one with the comment I was responding to and now with my response. This is MUCH better. >91 Louve_de_mer:,93: Bug noted and fixed. Thanks! I noticed this morning that I had a "1" in the little box. Clicking on it and then going to the comment page I did not see any new comment. I finally figured out what it was because I saw a member name under "conversations" and had received an email notification last night about a comment. I read and deleted the email, but did NOT go to the comment page. When I clicked the member name, I did see the comment, which was part of a group of comments on a venue photo. I don't know if this was a bug, or if it's intended that way, but doesn't make sense to me to see a number in that box, and yet not see the comment on the comment page. >97 reading_fox: It's not totally obvious where a new comment in a conversation is. >99 .Monkey. : I just replied to a comment for the first time, by clicking the little 1, and clicking "reply" under the comment. It says it's "to" the person but it's now on my profile page. Erm what? So another way to look at it is, the person who left the original comment finds replies where they left the note, which makes a little sense, or else they can find it with the expanded comments interface. (by finding their conversation with you, or by looking at their "all" tab). I agree that this is not immediately intuitive, but can we give it a little while and see if you get used to it? We kicked this around a lot, and this is the metaphor that won out. I think in the long run, this has more usability than some of the more discoverable solutions that we tried, so it's a good LT approach. Wonky at first, but you'll get to love it. Well, right. Your profile is now just a profile comment wall. It's not the sum-total of all the comments and notifications pertaining to you. The conversation stays where it started, so it makes sense as a conversation. If you want it to be private, make it private. Your profile is now just a profile comment wall. It's not the sum-total of all the comments and notifications pertaining to you. Okay, but then how do I know where to find the new comment? (See my #106 above.) I shouldn't have to search several places to find it. You get to all the comments together by clicking on the comment number, right? Yes, clicking on the number will take you to the comments page, and from there you should be able to find any comment that you're on one end of. We've now got a blog post up with a bit more information (and screenshots!). >95 Louve_de_mer: Are you still seeing this? I can't find an untranslated instance of that phrase, but it's possible I'm missing something. >113 kiparsky: it seems that the problem is solved. When I click on "Your conversation with User" I go to the conversation and have no more an error message. Right. Did you come from the email? I thought the whole point of this new thing (aside of separating out the multiple kinds of comments into distinct groups) was that you could click to view the whole "conversation" between you and MEMBER, so why would we want to then have our comments posted in different places? Why shouldn't they just go on the other person's page as normal but you can see the whole conversation easily? I don't like non-threading responses being who knows where depending who did what. 254 is distinct in the sense I can tell it's different from white without squinting. But 251 is the faintest one I feel reasonably confident I would notice being different from white if I weren't looking for it. >96 .Monkey. :, >98 JerryMmm:, et al: I didn't lighten it. It's the same darker color that it was yesterday after the changes. 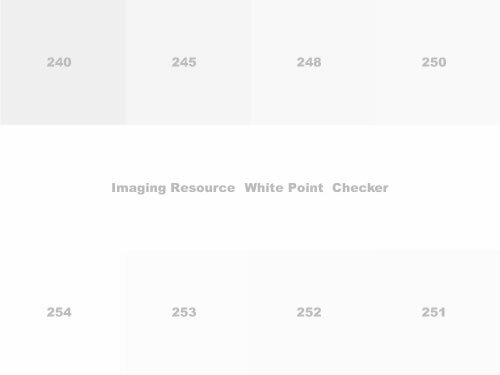 And for reference, it has some color in it but when converted directly to greyscale it would come in with a color value of 236, much darker than any of the color swatches listed on this page. Look. I understand that there may be a computer in Denmark that displays it slightly lighter or darker. And there may be one in Singapore that shows it slightly more pink than blue. But we have to design for the averages (that's surprisingly hard). Our private comments also have an even darker border color. Just taking some screenshots from UIs on my screen right now it seems that we have a bigger difference in shading than most every UI. The difference there between the rows is roughly half of our difference. In Skype, the grey in comments is roughly the same as their left navigation bar. It's certainly different enough to stand out from the white right section. That's not a scientific survey but I could go on and on. The grey is plenty dark enough to be seen on nearly all screens. What @polymathicmonkey just said (>118 .Monkey.:). Ditto. I don't get why it's more useful. It's okay, but I find it about the same as I did before. Also, if I decide that someone has an interesting library, honestly, that's NOT a conversation between me and them. It's kind of, sort of, a notification, except that it's a notification sent from me to them (I keep forgetting that there's the other option, where it doesn't notify anyone). After all, if I remove that, it doesn't send out a notice saying "Sorry, I don't think your library is interesting after all" (and, no, I wouldn't ever want that option, either). >98 JerryMmm: And I'd prefer the setting to be one of the top row choices - 250 or lower. Mine are BLUE! In all seriousness, if you're using an older screen or laptop screen then there's likely nothing you can do. Even calibration isn't going to make the aging screen elements new again. heh. At the risk of sounding picky, is it necessary for the comments/notifications to say "from X to you" and "from you to X" rather than just having the composer's screenname in the top bar as it was previously and like here in talk? Obviously all of the communication is either to me or from me, so this just confuses the heck out of me. I keep thinking my own comments are from other people because I see their names at the top of the box. (The color differential in the little box is not as strong as the link colors). For instance: which is between my two LT names. When I look at that at a glance, I think both comments came from TheDarkAge. A great improvement. I love it! Would it be an improvement if all messages to you had the "From TheDarkAge to you" phrase left justified, and all messages from you were right justified? I see your point, but your situation of having 2 accounts seems a minority case. Another option would be to just list the username, and when it's from you, you see your username. No extraneous text "From ... to ...", just the username. 127> I think your last sentence is what 'brains was getting at. I think his comments are just as applicable when one person doesn't own both accounts. >127 elenchus: I like the different justification idea better than having my username appear with no indication of who it was sent to. I don't have a problem with how it is now, though I can see why some might. Putting the names on opposite ends of the header bar would mark it clearly...the only problem I can see is that people might come to expect the same thing in Talk (their eyes would expect it). with spacing/justification so they're at opposite ends of the bar. Which would mean the writer would be on the left, just like Talk, and we'd have to check on the other side to see who they were writing it to. >123 conceptDawg: But I like blue! However, I can see a vast difference in tone on another computer. >98 JerryMmm: 245 is sort of different, but 240 is the first that I can distinguish at a glance. I have to wonder what it says about my monitor that I can't distinguish 250-254 at all. Did you come from the email? No, I clicked on the number at the top right of the page. I found the comment eventually under the "Conversations" link. Okay, we've moved things around a little. The main change, in response to various comments above, is that the notification button at the top right now takes you to your "All" tab, so if you have anything unread, you'll see it there. This should take care of the "where's my comment?" problem. We've also moved around the items in the left nav, hopefully this will seem more natural. Thanks to all of you for helping us get this dialed in. >132 lilithcat: (If you didn't put that space between the angle bracket and the message number then LT would have created a link to the message making it a whole lot easier for me to figure out what you're talking about). What’s the behavior for deleting comments now? If I go to my Conversations with LT member A, I see both sides of the conversation, from A to me, and from me to A. If I go to my Conversations with LT member B, I see only one side of the conversation, B to me. I assume this is because B deleted my comments on B’s profile page, and that they are permanently gone from the LT system. That’s fine. In the new system, however, what happens? It makes sense that I can delete a comment that I wrote, and purge it from existence entirely, even if the recipient would prefer to keep it, but I’d like to keep comments that I wrote for context, even if the recipient doesn’t want to see them. It should show you both sides of every conversation, unless you aren't in the conversation and it's private. Delete should be allowed for both sender and recipient, and it should apply to the message in all contexts. >139 timspalding: Of conversations that occurred in the old system? >138 qebo: Yes, a comment is a shared object between sender and recipient, and either party can delete. To me, this makes sense: if you send me a letter, I can keep it forever, or I can throw it away. I can see how this would be frustrating - on the other hand, it would be frustrating for a user to not be able to clean house and get rid of things they don't want to keep. In this case, the decision has fallen on the side of permissive deletion - these are comments, after all. We didn't want to and don't intend to implement a full-featured email system. >139 timspalding: Is it? If user B deleted the comments, they're gone, and that's correct behavior. Unless I'm misunderstanding the situation. >138 qebo:, if you want to send me a comment with the details of the other user, I can take a look and see if there's a bug here. >141 kiparsky: Well, I disagree with the behavior, but you do understand what I'm asking. :-) My preference would be for the recipient to be permitted to hide my comments from his/her view but not to delete them. For the sake of continuity and context. >142 kiparsky: I think you're understanding correctly; user B cleaned house sometime in the past, and it makes perfect sense that the comments are gone. It just raised the question about new behavior. It's normal behavior for people to be able to delete comments on their stuff. I definitely do not want people having the ability to force things to remain on my own stuff, that's not right. I get wanting records, but having a "sent comments" is a whole separate thing that I really don't think we need on a site like this. >144 .Monkey. : I don't want to force people to keep my comments if they don't want to; I'd like them to be able to "delete" my comments effectively hiding them, while not actually deleting the comments from the database, so I can still see them even if they can't. I recognize that we have never had this ability before, but since there's a new system, I figured I may as well ask. >145 qebo: I agree. I don't want someone else to delete from MY view the comments I sent them. I do want them to be able to delete them from THEIR view. I do understand, however, that such a change opens up a whole 'nother can o' worms under the hood. >145 qebo: No harm in asking, for sure. In this case, there are a couple of reasons why we're not going to do this right now, but we certainly appreciate your feedback. >147 kiparsky: I am now thoroughly confused. I'd notice that there was a "conversation" between me and someone. There's one "from" me to them, probably saying thanks for the help. Dunno, because it's empty. There's also one from them to me, which I'd archived because it had useful stuff. I just "unarchived" it. It's empty, either way. I'd have liked to keep both, but at least I'd prefer to be able to keep the useful information. Which one is the one I keep? I can send you a private comment on which member, but I'd prefer not to say here. >148 Lyndatrue: There was a comment that I can't find know to the effect of that there was a window of perhaps a month where the comments aren't visible because of some glitch but they are still there and will be visible after they re-run an indexing operation or something. I thought they were going to run it last night but perhaps it didn't get done for some reason. I only used my two accounts for privacy reasons since I was taking a screenshot and it was easier to do that than ask permission to share a comment from someone else. But yes, I would prefer the justification alternative to the way it is now. Or an indentation of the text box for my own comments. I am very glad to have the whole exchange in one place, but I am definitely having trouble picking out my own comments in the conversations, even with the colored boxes. To me, this makes sense: if you send me a letter, I can keep it forever, or I can throw it away. Yes. But I can't break into your house and steal it if I think better of having sent it. Only the recipient should be able to delete a comment. That's pretty fundamental. If you do insist on going this route, can you create an option for us to easily copy comments so that we have an archive if someone sends us valuable information we'd like to keep, and then gets rid of it when they're cleaning house? No. First, it's important to let people change their mind soon after they post something. This is standard online, even for abusive sites like Facebook. If you post something to Facebook you can delete it, and this includes posting a comment on someone's post. Ditto a Twitter, whether an update, and update with a @ or a private message. and then gets rid of it when they're cleaning house? Well, part of the point is that that won't be so common anymore. Before you HAD to archive or delete comments, or your profile would be unmanageable. Now you don't. As for the blank comments, I can see those in the database as well. I'm looking more closely at this - the work I did last night should have cleared these up, but obviously I've missed a trick. Sorry about that. Just to be clear on this, no data has been lost. What's missing is the reference from your comment (which, to our database is just a collection of metadata) and the text of that comment. Briefly, in changing from the old system we moved to a much more efficient mode of storage, which required recalculating the reference from the metadata (who sent the comment, and to whom, and when, and so forth) to the comment text. That calculation seems to have gone wrong in a few cases, but we still have everything we need to recover the link from comment to text. If anyone else has still got comments missing text, or thinks they've lost some comments in the move, please feel free to send me the details and I will straighten things out. The default "All" view shows archived comments. That seems counterintuitive. >153 kiparsky: I think that I *did* unarchive two messages; the ones that are now blank that you're hopefully fixing. I'd been thinking it was only one, but almost certainly the comment, and my reply, were both archived. Okay, I think I've cleared up the issues with the comments texts. There are ~80 comments in the new comments table still missing text, and of a random sampling all have been blank in the original as well, so there's not much I can do about that. They're also all kind of old, so not likely to bother anyone in any case. "Recent|Most" at the top of https://www.librarything.com/comments#is not translateable. I've been on LibaryThing since 2005 but must admit that I spend most of the time on Amazon.com because of the review comments. The Amazon comments link is right at the end of the review text (connected to the review rather than any particular commentator) and produces some great (and not so great) conversations about the review itself and the book in question. Basically the Amazon comments system is really easy to use and I'm not sure that the new LT comments system can compete with this (if it wants to). >159 Miro: Yeah, LibraryThing isn't really the place to go for reviews or focused discussion about a particular book. But at least for the former, that was a deliberate decision; creating a welcoming atmosphere for posting reviews is seen as more important than creating a valuable source for review readers. I occasionally have vague hopes that something more could be done about general book discussion, but the About system didn't ultimately accomplish much. Maybe it will be revisited one day. On the other hand, LibraryThing is a good source for finding out about interesting new books in general discussion with other readers, and for getting general information about books in the form of tag clouds and less-biased ratings. >159 Miro: You are talking about something completely unrelated, and undesired. We don't have review comments here intentionally. I don't agree at all that amazon does anything better, the vast majority of comments to reviews are simply "thanks for letting us know" kind of stuff or else are completely flaming the person/review. Why would we want to bring that here? If you have something you want to say to someone's review you can go and say it to them, which extra step & less removed contact means comments made in regards to them are generally well thought out, intelligent remarks. >161 .Monkey. : Of course, the disadvantage is that a third-party review reader doesn't benefit from these well-thought-out, intelligent remarks. But this has all been said before. Zoe said: "On the other hand, LibraryThing is a good source for finding out about interesting new books in general discussion with other readers"
I don't do this but I do find that the Similar Libraries feature is an excellent way of finding interesting specialized books and it's the reason that I'm still with LT.
LT could have put a "comment" link beside the date and "edit" link at the end of each review (same as Amazon) but as you rightly point out, there was a conversation some time ago concluding that a welcoming atmosphere was more important. The downside is that this produces a comments dead zone (relative to Amazon.com). >156 kiparsky: Just a quick note to say that the two comments under discussion now have their text restored, and thank you very much. I'd really like to see all the badge things and awards come from a role account, rather than directly from Tim. It makes those things he's sent that aren't automated disappear in the noise. Aren't all words from Tim precious? Is there anyway to add a "Folder"? I've got a bunch of messages related to organizing previous ReadaThings and it would be great if they could all be together (rather than grouped by individual) . . .
On the subject of reviews, I've learned to be very careful whose review I read. Sometimes I'm interested in a book, and I read a review or two to see who else it attracted, and why. I do NOT want a synopsis of the plot, or commentary on it such that it spoils the book for me. I wrote more reviews when I first arrived than I do now. If a book already has multiple reviews, and I see a couple that seem to say about the things I'd say, there's no reason to add my two cents. I often review books when there is no other review, and I try my best to make it useful. There have been books that I bought (or didn't buy) where the reviews here influenced that decision, and it seems a trifling way of giving back a little value. I am happy there aren't comments on reviews. There's plenty of places on LT to talk about books. Books are good. I'm looking forward to my first Thingaversary, and still trying to think of how I can make it special. LT is an addiction, but not an unhealthy one. It's more like being addicted to an early morning walk. Could'a fooled me. It's usually the first or second place I go looking for reviews of books. The question is whether reviews are good in and of themselves, of whether reviews require the ability to comment on them to be good. I favor reviews without comments, as is well known, with discussion aggregated elsewhere. At this point, while I'm open to ways of deepening conversations, I'm not open to comments on reviews. That a very large group of members feel similarly, and would feel betrayed if suddenly LibraryThing changed its review metaphor from one of simple reviews to one of reviews-and-replies-to-reviews, reinforces my view. Then there's the problem of opt-in and opt-out. If we required opt-in, few reviews would allow comments, with strange effects downstream. (Members would, for example, seize upon the one review for a work that allows comments to launch a discussion of another review.) If we required opt-out, a not-small percentage of members would feel betrayed by a rather fundamental UI shift. I find it interesting that the reviews-comments thing is brought up with respect to Amazon. There are sites that do this well. But only a small minority of reviews on Amazon have comments, and they hide them underneath a link. If, however, you mostly look at the very most popular items, your experience may be different—I see, for example, a lot of comments on the top reviews for The Goldfinch, etc. YMMV, but, for my part, I never look at these conversations. Conversation for me is something I have with people I know and whose opinion I care about. It requires some effort to follow a conversation--or, if not, you risk just being a jerk. I don't have the investment and energy for that on Amazon. But reviews on Amazon by contrast can be skimmed, to get a sense of the sorts of things people say--all the while remembering the ways the system is gamed and falsified. >167 Lyndatrue: I write my reviews for me - to remind me which book this was and what I thought of it fresh (or relatively fresh) from reading it (my opinion a few months later is often entirely different, and I find that fascinating). If they're useful to others, great, but that's not their purpose in my eyes. And because of that - sometimes my reviews are a synopsis, sometimes they're entirely what I thought of it (though I do _try_ to put in something about the plot/characters, again so I can remember which book this was in a few months/years). I do try to avoid spoilers - but that's a major variable for readers, what is considered a spoiler. I try to write it so that if I've forgotten the twist, I won't be told what it was but I'll be reminded that there is one. So for me, the presence or absence of other reviews is largely irrelevant - it's fun to put a review on a book that has none, but I'll review a book with a hundred other reviews just as fast. LT is always the first place I go to look for reviews, but it's rarely the last. That's not because of the absence of review comments, but because the prevailing philosophy is "reviews are a personal thing that are only incidentally exposed to other readers" rather than "reviews are intended primarily for other readers". This makes it more difficult to find reviews that do what I want them to do, which is indicate whether I will want to read a book or read thoughtful discussion of a book I have just finished reading. >170 jjmcgaffey: Agreed. I'm glad when people like them and they're helpful for those trying to decide on reading or not, and such, but I write them almost entirely for me. Plus, if I share the same basic opinion as someone else, then great, someone looking through them could see that that opinion is shared by more than one person, which is also potentially useful. If people only ever added opinions no one had expressed yet, how would you know which were the more commonly held views? There's always going to be a few outliers, after all. re Searching in comments/conversations... in the old comment system I was able to use my browser Find (keyword search) to track down a half-forgotten conversation on a certain subject. I would just ask for All comments and then search a relevant term. But in the new interface we are offered the All only a "page" at a time, so if i were to try this I would have to search again and again (and again etc) on page after page until I hit my keyword on, oh, page 31. So, can there be a way to do a simple keyword search through all comments/conversations? Other than losing this ability, I love the new Comment system just fine, thanks! >166 LucindaLibri: How about being able to tag your comments? >169 timspalding: YMMV, but, for my part, I never look at these conversations. Conversation for me is something I have with people I know and whose opinion I care about. This is all well and good, except that the people you're in conversation with may not be prepared to talk about the exact book that you want to talk about at that time. There's still nowhere to go on LT for discussion of a particular book. If that discussion does happen to occur somewhere, we can find it via Abouts and Mentions, but there's no obvious location to start it in the first place. While the idea that reviews are primarily for oneself is often expressed in Talk, I dunno if I believe it's truly prevailing in practice: most reviews I come across on LT give me the impression of being aimed at would-be readers. >175 _Zoe_: Wouldn't the obvious place to start a conversation on a particular book be "Book Talk?" Not that I wouldn't love to have a module or whatever in the work page to get said topic started. Usually I'm sincere; I mean to be helpful. I've also looked at reviews, and rewritten them, just so that they're less a conversation with myself, and more a review. Yes, I know I could just put it in the comment field, or even in the private comments. I still don't want to have comments on reviews. At most, if there's only one review on something, and I have a dramatically different opinion on it, I can write my own review, if I somehow felt it necessary. Most things I like are incredibly obscure (or so I thought, before coming here). It's absolutely wonderful to me to discover that someone else shares my love of old tapestries, and textiles, or gardening. >177 lesmel: Book Talk in general is a pretty useless group because it's the catch-all for threads that people can't bother to put elsewhere. I don't personally find it a very inviting place to start threads, and would never actually look at it. No one else seems to start focused book discussions there either. But even if that has to be the default place for everything, I don't think Abouts were implemented fully enough to be effective for finding those conversations when they appear. The initial idea was that we would be able to specify which books we wanted to follow, but the implementation only got as far as "all the books in your catalogue and no others", which I don't find very interesting or helpful. For me to actually benefit from the feature, I'd have to a) be able to drastically cut down the list of books I'm following, while including others that aren't in my catalogue; and b) show conversations about those books in my default Talk view with everything else (Groups, Posts, Starred, etc.). And the first has to precede the second. Also, Abouts somehow became all about simultaneous group-read discussions, which actually do already exist on the site. What I want is a place to discuss smaller details about whatever books I've just read. Don't forget "the count of Abouts for books in your catalog should actually work" as a piece of full implementation. >180 lorax: Heh, that too. I address most of my reviews to an imaginary readership who knows everything I do except for the book I've just read. I use the format to indulge an authorial vice that afflicted Aleister Crowley, who, as Martin Starr has remarked, “Is his own audience” in his texts. When we have a new comment and click on the number, what page is it supposed to take us to? It seemed like I went to my own wall, which made no sense because that's not where the comment is, but I can't tell whether I just mis-clicked on my username instead. >183 _Zoe_: When I click on the number, I'm taken to my "comments" page (https://www.librarything.com/comments), where I can see both sides of our conversation and reply to your comment. Is that where your click went? Hmm, I guess I just failed to click properly, because that one worked fine. But it feels like those buttons are pretty far apart. I wonder if I just reflexively click on my name rather than the comment button when I see something yellow, without even realizing where I'm clicking. Oh I forgot. You say "The state of the THING" ha ha ha ha ha. It's very funny. Best regards to you, to all. Thanks for giving us back the distinguishing colors between private and non-private messages, and between "to" and "from". It helps a lot. My most favorite change is that when I "archive" or "delete" a comment, the page doesn't jump all over the place like it used to. Much easier. I'm afraid I deleted some of the comments, cleaning house, before I realized that it deleted them entirely. Ah well, they were mostly just "Thank you" sort of comments. Thanks for the hard work, and for listening to all of us! "I don't like non-threading responses being who knows where depending who did what." Me either. I am still having trouble figuring out what is visible where and to whom. If suddenly every comment I've made on LibraryThing is accessible via a profile wall and archiving doesn't hide anything anymore, that feels a bit....exposed. Yeah, that's putting it mildly. I am less than thrilled by a Facebook-type Wall here. I'm on LibraryThing, not Facebook. I also agree with earlier comments that archiving "interesting libraries" notifications is weird, since those aren't really conversations, and I can see who I've marked interesting and vice versa on my sidebar anyway. Today I can't find my archived comments from last week. They were still there yesterday. Is it possible to bring them back? Thanks! Yes, the ability to see deleted comments—of any age—was a very odd feature of the site before. With the third, I clicked Archive, and... nothing. Can’t archive any more comments. With F5 to reload, everything resets, the confirmation dialog returns, and I can archive again. >135 kiparsky:, >154 AndreasJ: The default “All” is kinda freaky... and it seems some people are reacting with a frenzy of deletion, which affects the person on the other side of the conversation. I’d think the default should be Comment Wall, i.e. the unarchived posts. Also, it’d be nice to see at a glance, w/ color or visible marker, which posts have been archived and which have not. I prefer folders to tags, but tags could work. I'm also noticing that the "Conversations" meld together everything I've ever said to a particular person even if those comments were totally unrelated . . . (Yes, I know FB now uses this system, but I hate it there too.) . . . Would really like some way to group by topic/type/category (as determined by me not LT). >197 qebo: That's a good one. Yes, because it's waiting for a confirm dialog to return a "yes, go ahead", it's stuck there. I don't know if there's anything I can do about that, but I'll take a look. >200 kiparsky: Yeah, I figured. If it can't be fixed, can the checkbox be removed? Really the ideal solution would be what others have requested, an option to mass archive comments. >194 jolijtje: We haven't done anything to make your comments go away. Can you send me a comment with more details on what's gone missing? Thanks. I like the improvements--especially the conversations. >201 qebo: LT didn't make that checkbox and can't make it go away. It's the option of your browser, when it thinks you're being plagued with those dialog boxes and maybe you just want them to stop. Can anyone explain why some friend requests are categorized under "Social" and others are in "Notifications" ? Error, assuredly. kiparsky can you look into it? >205 LucindaLibri:, >206 timspalding: These should be fixed. I just now realized that I can't archive anything I've said. If I have an exchange with someone, I don't want to delete it, but I also don't want to keep it around. In addition, since the "All" option defaults to showing me everything, INCLUDING the things I've archived, it gives me sudden sympathy for all those who have many comments. I'd at least like a setting, such as there is on Talk, to say "start here" (where "here" is most assuredly not "All"), please. Maybe we make all not include archived? What about conversations? Currently they show archived comments. How do people feel about this? Archived comments are probably old conversations with the same person, and not part of the current conversation. Maybe an option to show archived in conversations but not default? BTW I find that this slows down reporting spam because I have to wait for the profile to find out that there are no comments before I can click through to the flag page. My first thought was that yes, archived should be shown in conversations, but MarthaJeanne's point is a good one - a single conversation isn't likely to continue long enough for comments to be archived (unless people are using an Inbox Zero approach and immediately archive or delete all comments). Yeah, see, we need to remember that mostly people used archived to mean "get this off my page I can't see anything anymore and my page is slow!" Kiparsky, is this fixable? A user who's never received a comment should not, I think, have a slow load on that, right? >212 kiparsky: I already find the "conversation" to be not helpful, since it includes all sorts of things that aren't an actual interaction, but rather a notification. I'm happy (even overjoyed) to have "All" not include archived items, but I'd be even happier to have the ability to start where I chose (which would never ever be "All"). I will reiterate my suggestion that all the "badge and medal" awarding be delivered by a role account, rather than Tim. When someone comments on my comment wall, and it's a one to one conversation, I should be able to see just that. Those award things are amusing, but unimportant to me. They aren't an actual exchange, but are one-sided, and I have archived them since the first one I got. >216 lorax: Under the old system, I'd archive comments as soon as I'd read them. At least an option to show archived comments in conversations would be appreciated. >220 AndreasJ: That's the current default. Personally, I'd prefer the other way. I will reiterate my suggestion that all the "badge and medal" awarding be delivered by a role account, rather than Tim. Meh. I like that notifications—badges, ER, etc.—come from real people. Yes, it's inconvenient if you want to carry on other conversations with me, but that's not common. The upside is that LT is personal. Real people stand behind everything we do. In the case of badges, I wrote the code and track how it's going. Having a "roll" account would just add a layer of impersonality. >222 timspalding: It's your site. I'm okay with that (and appreciate the work that goes into it, and recognize these things are probably something minor to most folks). I'd still like to be able to archive my own comments, though. Not sure why you have "roll" in quotes though. The concept of a "role account" seems to fit the awards/badges idea, to me, since it appears automated. Still, as I'd said, it's your site, and I'm pretty happy here. These are not earth shaking, and I'd say that I've looked at my comments page more in the last week than I did in the rest of the past year. >222 timspalding: Besides, where else would I find conversations about "Dewey Decimal Challenge" and the fact that there can be multiple Dewey numbers, but only one possible Library of Congress number? It's just a great place. Sorry. Why can't you, because they're still in "all"? Is there a way to save but not show a comment? I've read the blog and this thread but it seems to me that feature is gone. Tim, do you want bugs with the new system to be posted here or on separate threads? A. I don't see the point of having a comment page and a subset of it on my wall. C. I am ambivalent about clicking on the # box, I would really like to see a link on my home page along the left side with the other links. E. I think I would find it less cumbersome, if I could collapse & expand a conversation thread, with just the most recent comment listed. Apologies, this is just a first sight reaction, additional use would probably allow better insight. >226 CarolO: archive = delete, right? >199 LucindaLibri: I prefer folders to tags, but tags could work. Tags are the paradigm of choice on this site. >225 timspalding: I'm confused. There is no "archive" link on my own comments, and I might add that a couple of my comments are not visible to me unless I choose the "conversation" with a particular person, which seems odd. In fact, I can no longer make sense of what does or does not appear on the comment wall. I would expect most things to show there, other than notifications and archived messages. I'm just confused. Nothing new, I'm probably always a bit confused. A reminder that anyone who cares about keeping an actual record of an LT conversation should make an offline copy - they have changed it so that when a sender deletes a comment it is no longer visible to the recipient. >227 lorax: I think bugs should be posted as bugs. That will help me deal with them better, and of course it'll give the reporters their exterminator badges. Feature requests or discussion of the functionality should be on this thread. Okay, you can now archive anything that's on your own wall. Thanks; actually you fixed my bug in the process of fixing 231, so I don't need to post that one, but if I find a new one I'll post it separately. So if I archive a comment on my wall from another user, and then that user deletes it from their end, does my having archived it save it for me though not for them? >236 Crypto-Willobie: 'Fraid not. A deleted comment is deleted for both parties. >221 Lyndatrue: That's the current default. Personally, I'd prefer the other way. I know it's the current default, but people are requesting changing it. If archived comments do end up not showing in conversations by default, I'd like an option to keep it like now. >229 jjwilson61: Thank you...glad to know that...so I've misunderstood the change to archive...can someone explain how archives was changed? Tim said that it no longer works like a "soft delete" and that it removes it from your wall...I took that to mean that it was completely deleted...but, if not, then I don't understand how it is different. There is also "archive", which removes a comment from view on your wall, but keeps it visible in "All" and does not affect the other party to the conversation. >234 kiparsky: Sort of. Most things still don't have an "archive" option, including some that used to (badge things, for example). Here's the strange thing, though. I have archived every single one of those, the second I see them. They show up in the archived items, but don't have an "archive" nor an "unarchive" option. I also note that the one comment that I'd made, and just archived to see what would happen, doesn't show in the "archived items" bucket. I think I'm just going to unarchive everything that isn't a notification, and call it good. I'll come back when it's all settled out, and see how it works then. It's not normally an option I use much. >240 lorax: Thanks for giving me that needed push. I've now saved offline all the interesting things, and can just ignore the others. >240 lorax: so the real difference is that the delete will delete it from everyone? And, if I understand you, archive really didn't change at all? >243 CarolO: I believe what Tim meant by the soft delete remark is that in the previous implementation people had been using archive as a way to (soft) delete but in the new implementation they will be able to do a real (hard) delete. And yes, archive will still be archive. To change archive into delete would be truly bizarre. I strongly agree that, when I hit all, I'd like archived comments to not show up mixed in with all others. If I click on a category, too, I'd again really prefer that archived comments be separated out. I'd rather not delete them, but I suppose I may end up doing that if they all remain mixed together. It also doesn't seem like I can archive things like notifications when I'm on the comments page specifically, which is going to be a frustration for me, and I guess may, again, just lead to my deleting things that I wouldn't have wanted to before. On a weirder note, I've been in Early Reviewers for ages, but when I click on Early Reviewers, nothing at all shows up. All of those notifications show up only when I click on conversations with lorannen, which, really, are entirely early reviewer notifications. Otherwise, I'm not actually sure how I feel about the new system lol. I agree that it's nice now to be able to have (and see) a conversation, but it's been so long since I tried to do that (because it used to be so hard), that I'm not sure I'll get around to doing so. I mostly used comments to keep track (through archiving) of which Member Giveaways and Early Reviewer Books had been received and reviewed, and that looks like it's going to be slightly less convenient now. But, then, I'm probably one of the least technological folks around here. Re: the slow loading/spam, I do find it irritating that it's sitting there spinning, but it doesn't stop me being able to click on the report spam link before it's finished. Even so, why does it have to load separately and so slowly? >246 whitewavedarling: But there is a page to keep track of the Early Reviewer books won and reviewed. Your link is at the top left of the current list page. >248 2wonderY: That's beside the point. If there's an exclusive spot for those comments in the comments area they should be appearing there. However, they do show there when I click it, so I'm not sure where it's going wrong for whitewave. I think there's a bug. One of my comments from way back had a URL embedded in it. The URL was shortened, but the link still worked (I think). Clicking on the link today though, and LT tries to take me to the shortened URL, not the original URL. It's the second message on my wall, which is private, but I presume can be seen by staff? >250 markbarnes: Will take a look, thanks for the report. >249 .Monkey. : The new comments system has a "type" field which is how we're doing all of these categories. Since the old one didn't have these types, we've had to parse the information out of things we did know, like the identity of the sender, and the comment text. Unfortunately, comment text for notifications has changed over the years, and this means the scripts that made those changes failed on some. This is what's producing the odd effects that some users are seeing - the comments haven't had the correct metadata assigned to them. I'm fixing these as they're reported, but some of them are a little weird. >246 whitewavedarling: I think I've got your ones (and similar cases for other users) taken care of, or will do as soon as the scripts finish running. >230 jjwilson61: I'm not seeing any way to "tag" my comments OR to put them in folders, so I'm not sure why you keep pushing tags . . . As far as I can tell they've never been a part of comments and are still not a part of comments. I'm asking for a way to organize my comments by something other than sender and receiver and the limited set of categories listed on the left (which I can't change or move things into even if they represented the categories I'm talking about). My general issue is this . . . some of us lowly users actually do "administrate" things like groups or events. I'd like to be able to separate comments generated under that hat from my other personal user comments. >253 LucindaLibri: I'm not pushing them and I never said that they were currently an option. But Tim is probably going to be more receptive to tags since they are a common UI on the site and they offer the same functionality as folders. It would be nice if I could move messages into the ER notification folder. I have put comments to myself that are related to the ER program and it would be nice to keep them all together. Additionally, if we could move things into the ER notification, we could clean up the past comments that were not tagged, if we wanted to. I don't like tags for this. But we are working on a star system. >256 timspalding: I don't like tags for this. I still haven't used this system enough to have a strong opinion, but my impression is that it's much more complicated than it needs to be, and that the complication is more detrimental than beneficial. Basically, I don't think I like the change to conversations taking place on one person's wall rather than being a back-and-forth of comments on both people's walls. I no longer have any idea what will appear in what location. I wish it were much more straightforward, where we could leave comments for each other as before, and click to see the history of all comments (or all non-archived comments) between two people. The confusion about what exists where is increased by the fact that I can no longer just see my whole wall at once. I barely archived or deleted anything in the past, and I could quickly skim down the page to get an overview. I know there's a reason for this change, but it still feels uncomfortable not to be able to get a quick glimpse of everything that's publicly visible on my wall. I have no idea how many pages of comments there are, and I'm left with this sense of comments as some mysterious unknown. The new system also seems to encourage other people to archive or delete everything, though I'm not sure why that should be the case. It makes profiles look much emptier. >259 _Zoe_: And checkmarks! More colors for checkmarks! Okay, to be clear there was no way of doing that before. To see a conversation you needed to blink back and forth and loo at timestamps. But what you're saying is that conversations should be back and forth on walls, UNLESS you use the conversation feature. My argument is that it's nice to look at someone's wall and see back and forth, to see people being replied to without having to see ONLY that conversation. It makes profiles look much emptier. Sigh. Look, it's four screenfuls to look at yours. You've got some 350 comments I have access to. You can't want it to be 200 screenfuls. Is it really better to go to eight? Well, I'm not against that. I find it weird to have my comments to other people on my wall. I don't use gmail, what do the colored stars do? Is it just a colorful version of tags? How would this help sort comments in a way that tags or folders wouldn't? I don't find it weird to have them there, I just think it would make more sense to me and look cleaner if the most recent comment was there and I could click to expand the whole thread and after I am done click again to collapse it into one comment. Fine, so we make it so that comments always go on the wall of the commentator, and walls become half of a conversation? I like seeing the whole conversation together. I like seeing the whole conversation together, too. Isn't that most of the point of this change? >266 hailelib: I like seeing the whole conversation together. >267 lorax: Isn't that most of the point of this change? That's what I thought too. Though the actual effect is that people are so freaked out by All that there's been a frenzy of deletion. Most of my comments to other people are not part of any real conversation, which is why it seems odd to me. Coupled with the fact that one can simply use the "conversations" link on the left to find a real conversation with another member, it's bothersome to have everything on a "wall". It's cluttered and confusing, rather like graffiti, which is what I usually see on walls! The thing is, it's not currently a choice between seeing the whole conversation or seeing half of it. We have only a 50/50 chance of seeing the whole conversation right now; half of the time we see nothing, so we don't even know that the conversation exists. I'd rather see some indication of the conversation's existence at all times, even at the cost of needing a click to see it in its entirety. To be clear: I like being able to see the whole conversation. I know that that was the point of the change. But that could be accomplished just as well with a "click to show conversation" button, going to the separate comments page. It doesn't require showing 100% of the conversation on one participant's wall, and 0% on the other. That seems a step in the wrong direction. Zoe's concern would surely be better solved by showing the conversation on both walls. >261 timspalding: It makes profiles look much emptier. I don't think we're talking about the same thing at all here. I meant that I now see zero comments on many people's profiles, because something about the new system has encouraged a lot of people to delete or archive them. >273 AndreasJ: Yup, that would work too. >269 qebo: (and others) I like very much to see all of the interchanges with another. I would like to not have the archived messages visible when I select "All" (or rather, when it's selected for me). The very first thing I do when looking at Comments is to click on "Comment Wall" just to get rid of the other. I admit I don't use it much (and none of these changes will alter that), but having both sides of an exchange is nice, and I like that improvement. I have a much different list of things I'd rather see fixed, but it's nice to have a site where there's a willingness to compromise, and a quick response when things don't seem to be working quite right. >272 _Zoe_: Ahhhhhhhh THAT'S what I've been missing from the complaints! It makes much more sense now; I hadn't thought to check other people's walls to see my own comments. - I think that the system should work the way it does now, but 100% of the conversation should show up on BOTH participants' walls. Another question: when we click "All Comments" and go to someone else's comments page, is the "Notifications" link supposed to do anything? Basically, I'm wondering why we have to go to someone else's comments page at all, when it doesn't have most of the advanced options that we see on our own. I think I'd mostly rather stay on the profile, with sticky options for "All Comments" and "To User". The existing distinction of "Wall" (some conversations, determined randomly by who started them) vs. "All" (on a different page) doesn't make a lot of sense to me. Okay, I've made a new thread about this, with a vote. >278 _Zoe_: when we click "All Comments" and go to someone else's comments page, is the "Notifications" link supposed to do anything? Currently, it appears to me that all past comments with any one LT member are considered a single conversation. Will my future comments be attached to the past conversations or will there be a way to separate conversations with any particular LT member? Here is my example, I am a member of a book club with another LT member and we have conversations about the book club. I also have conversations with the same member about local meet-ups with other LT members. And I occasionally have conversations with the same member of a completely social non-book nature. Will these be intermingled as one on-going conversation or broken into 3 or more conversations? > 260 I have been asking for that! In the old system, if I archived a message I had received no one could see it. All messages I had sent could not be seen either --not from my profile anyway. With the new system that is gone and I don't really like it, I've decided. When I archive it, I want it taken from view. When you come to my profile, I don't necessarily want you to see messages I've sent. Both of these intrusive behaviors were dropped on us with no warning and we have no way to remedy them. Do we? >284 Collectorator: "When I archive it, I want it taken from view. When you come to my profile, I don't necessarily want you to see messages I've sent." I've did some more testing, and now it seems that if you go to a profile, you only see received messages. When I go to my 'wall' I see everything. Can other people see your wall? Guys, the "wall" terminology is ancient. LT didn't originate it. Private messages are still available. Public messages have always been, well, public. Nothing in that respect has changed. Apologies if I'm missing something obvious (still foggy with jet lag), but how do we do the "archive all" now? Is that not possible? >261 timspalding: My argument is that it's nice to look at someone's wall and see back and forth, to see people being replied to without having to see ONLY that conversation. It made me feel like eavesdropping into a conversation between two people when I clicked around on someone's profile to see what the new comments system was all about..
Having to click on every single comment in order to archive them is a bore, a chore, and an irritation. I'm also having trouble with grasping what is visible to whom where. It's making me less willing to comment in general, especially publicly. I understand the impetus behind the creation of "conversations" (which I think are/would be nice and useful) but I'm not sure this implementation works for me. And, well, I miss the pink. As all this is making my head hurt, I haven't commented. However, as >292 LolaWalser: remarked, I, too, miss the pink. Most of my comments are private. The page looks dreary with all that grey. How do I archive messages now? Hover your mouse over the message and the option to Delete or Archive will appear on the bottom right. I only get Edit, See Conversation, and Delete. Odd, I see Archive as the last option for all my messages. And when I archive them I get an Unarchive option in its place. I just noticed that when I click on All Comments in my Profile and go to the Comments page the Home sub-menu disappears, even though the Home tab is still highlighted. Is that intentional? I seems strange to me to still be in the Home tab but not have the sub-menu visible. I will just delete them all. Thanks, jj. omg there's way too many. How can I do this without having to delete every farking one? As far as I can tell you can only delete or archive one message at a time. Ok, I just disabled comments. I will put a message on my profile I guess. Thanks again, jj. >296 Collectorator: I only get Edit, See Conversation, and Delete. Under the revised system, you can only archive comments to you, since those are the only ones that go on your profile/wall. If you click on "Comment wall" on the comments page, those will all be archivable. I could add an "archive all" button, if that would help. I also think we could do without the confirm for archive, since it's easily reversed. Would either/both of these seem like good fixes? >303 kiparsky: Yes. If it can be undone it's silly to make people have to make another click to verify, and archive all would be useful to most of us, I'm pretty sure. I was one person starting to do that because I feared privacy issues at first. My deleted comments are not coming back. I don't care on my end, but others might care. Sorry. people are so freaked out by All that there's been a frenzy of deletion. Guilty, as charged. I'll stop doing that now that Jon has reassured me that there should be no new privacy issues. I'm not sure why people want to delete comments. I have no problem with deleting if that's what you want to do, but I don't see what it's gaining you. If the issue is privacy, we're much better now than before: when you send a comment, you can mark it as private, and you can make it private after the fact (this is new!) so if you're including personal information, you can always make it invisible to everyone but the recipient. When you receive a comment that isn't a notification, you can always archive it, so you can always make it invisible to everyone but the sender. And notifications are private by default, so they're only visible to you in any case. If the issue is about having too many comments on your profile, that number is now capped at 10 (not 10 as previously stated). And since we've added some tools for finding your comments from particular people, which we didn't have before, it seems that this has got easier as well. So what is it that I'm missing? I feel like we've actually made things better in all of these regards, so what's the incentive now to delete comments? What's private hasn't changed (except to improve), but what's showing did - and it's hard to tell, if you can see all this stuff that you thought was safely tucked away, that privacy hasn't changed. You're seeing the backend, and can distinguish clearly. We're only seeing the front, and that got a lot more transparent - only to the logged-in user, but that's hard to tell in the first rush of information. I didn't delete anything, but that was because I've been caught up in the changes of a new feature before. I prefer, now, to wait until stuff shakes out. Yes, please, an Archive All feature would be useful. And what happened to Tim's "old comments go in a folder" idea? I thought that was essentially archiving everything that was sent before the changeover. >306 kiparsky: Before the new system, I had archived everything. I always did from time to time. I've already talked about how it was when the new system came out, then you changed some things so I went back to have a look again today. I logged out and looked my profile from a different account, and when I clicked for ALL, I could see ALL (except private). I asked for help and figured out eventually that disabling comments was the only answer because I don't want to spend all afternoon deleting. I don't know why previously archived comments won't stay archived from view by others, but they won't. I said I don't want to fight or nitpick, and I mean it. Comments on LT are just not a big deal for me, so I am just choosing the path of least resistance. what's the incentive now to delete comments? As a deleter myself, for me it comes from the fact that I don't want to see everything. You've now taken care of this, but when the new system debuted, it was like all the stuff I had packed away neatly in storage in opaque containers got emptied out all over my living room. You should also see the great passion with which I delete e-mail! Nothing in my inbox or I go askew. If I want to keep it, I sort it and tuck it away. I'm a hoarder of physical objects, but a deleter of digital ones. Such are idiosyncrasies. >305 SqueakyChu: I don't care on my end, but others might care. Sorry. Yup, I care. :-) Oh well. >306 kiparsky: what's the incentive now to delete comments? The incentive was that when the comment system changed, comments that had been archived suddenly reappeared, with no clarity about what was happening and how things worked. >309 macsbrains:, >310 qebo: Thanks, that explains things. I hope the recent change fixes things adequately. Any thoughts on the losing the Home sub-menu on the Comments page? Am I the only one bothered by it? A few people I’ve had back-and-forth conversations with show up in the list on the left side of my comments page, but there are no comments. When I go to “See all...”, those people are listed with numbers. The comments have disappeared over the past few days. At least some of them were deliberately deleted by the other person (see >310 qebo: :-) ), so I understand why all the comments might be gone, but then I don’t understand why the names still appear in the list. I have archived most comments, but there are a few comments that I might want to keep unarchived for quick reference, e.g. contact info. When I look at a Conversation, I see the few unarchived comments from the other person mixed in with all of my comments to that person, which makes the unarchived comments not so easy to find. I’d like an option to “archive” (perhaps not the proper term) comments from me to the other person, or simply to show/hide all of them. >314 qebo: I don't know if you've seen this, but after the most recent round of changes you should be seeing only unarchived comments in a conversation. There is a button to show you archived comments from that conversation, if you want to see them. Send me a note if this isn't working for you and I'll take another look. >317 kiparsky: Yes, I got that. I don't think you're understanding my request. I want to a way to easily see the comment that I have kept unarchived for reference. >317 kiparsky: we want to archive our comments sent to other LT members so they don't clutter up our wall or profile or inbox or whatever it is we want to call it. >318 qebo:, >319 CarolO:. Ah, I think I get it now. One of the things in the pipeline is the "star" system, which will allow you to mark comments with a couple of color-coded categories, and display those as a group. Would this address this concern? >320 kiparsky: Can't tell until it's in place. Probably, as a practical matter. Still, the scenario above is clutter. To be clear, I want to keep the comments, I just want to filter them out on occasion. >320 kiparsky: I think it would only work for me if I could change the default. I just want to quickly, at a glance, see what is new or items that I want to follow up on. If I had to filter every time then I would probably just archive or delete everything and find somewhere else to keep track of those things. I don't tend to remember my comment conversations by LT member name - unless I know them in RL. So I would be looking for who recommended this book to me and why, who has tagged my library interesting, - by subject matter rather then by member. So, for the most part, tracking conversations by member just isn't that useful to me. I still think it would be nice to be able to archive my comments. >312 jjwilson61: Doesn't bother me - it might, if I went to Comments from the Home page, but if I got there from Your Books or Talk or wherever, I wouldn't expect to see it. It's a little odd that the Home tab is highlighted, but not odd enough to make me expect the Home subnav to show. >323 jjmcgaffey: I think the thing for me is that the only way to get to it - that I have found - is by clicking on the #box or going to my profile and from those comments choosing "all comments" but it is part of the home page, seems like I should be able to navigate to it from the home page...like I can navigate to my profile or my reviews etc. from the home page. Seems circuitous to me. But then, I don't think comments were ever part of the home page so I don't know why they are now...maybe has to do with future changes? >323 jjmcgaffey: How about if you went there from your Profile? That's been the only way to get to your comments until now so it will probably continue to be a common access path. I don't use comments much, so about 98% of my access has been clicking on the little yellow number by my name. And that's available on every page (now, even when there isn't a new comment). I can see the point - if it's part of the Home tab, it should a) be in the subnav and b) have the subnav available. But it doesn't bother me that it doesn't have it, and I seldom go to the Conversations page via my profile - in fact, I haven't done it yet despite all this discussion (every time I wanted to check something out, I clicked the number). I'm also having trouble with grasping what is visible to whom where. It's making me less willing to comment in general, especially publicly. Nothing has changed in this respect. Public comments are visible to others, private ones aren't. Looking at my archived comments, there are some that I would want to move to "Early Reviewers" . . . but I see no way to move things from one collection to another. If I "unarchive" these comments will they automatically get put in the Early Reviewers grouping? or will they just clutter one of the other groupings? >328 LucindaLibri: Check >252 kiparsky:. Archived or not doesn't matter, it's something on their end of it. We haven't been given folders, and what I believe they've got in the works is for us to be able to give things stars. Update: archiving no longer requires a confirm. Addressing other issues with comments this morning. I have not successfully responded to my comments in about a week, When I attempted to post comments today, I hit the post comment button many times to no effect. When I go to the member's profile to post and click on the button, my comment disappears into the ether. This makes me sad, the system was always so reliable before and fokldk are probably womdering why I haven't replied. Update: you can no longer receive messages through a reply (in a previous conversation with someone) if you've a) disabled comments through your settings or b) blocked that member.